PEOPLE who drive past the Freemason building on Kent St and wonder what's inside will be able to find out on September 26. 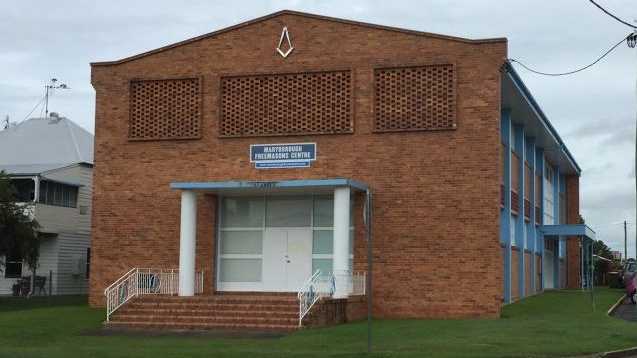 The building will open as part of the fourth annual Maryborough Open House and councillor George Seymour said he was excited to have the Freemasons on board. "Behind the scenes and on the centre stage they have played a major role in the history and development of Maryborough," he said. "If you look at the photos of the laying of the foundation stone for Maryborough City Hall you will see it is carried out in a full Masonic ceremony. "People drive by this building every day and wonder what is inside. "Open House is a great opportunity to learn more about this very interesting building and the people associated with it." Cr Seymour said the event had grown in popularity and brought many people to the city for the weekend. "Maryborough Open House is a free event which celebrates heritage buildings and the gardens of Maryborough. "These heritage buildings help tell the story of Maryborough. We are so blessed to have them and this is a great way to explore them." People can visit more than 30 of the city's heritage buildings and gardens free of charge.